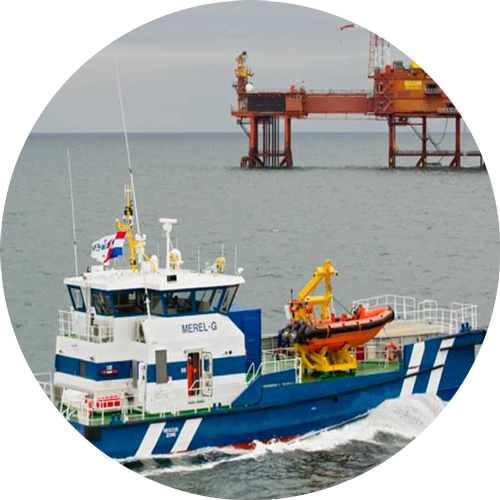 Rederij Groen - Offshore, Guard & Support. 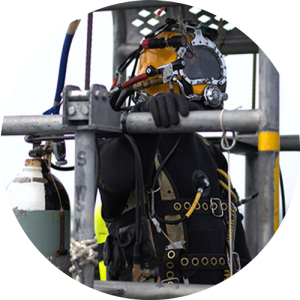 To be able to provide diving and offshore wind support services, Rederij Groen has a partnership with GloMar Offshore in Den Helder, The Netherlands. 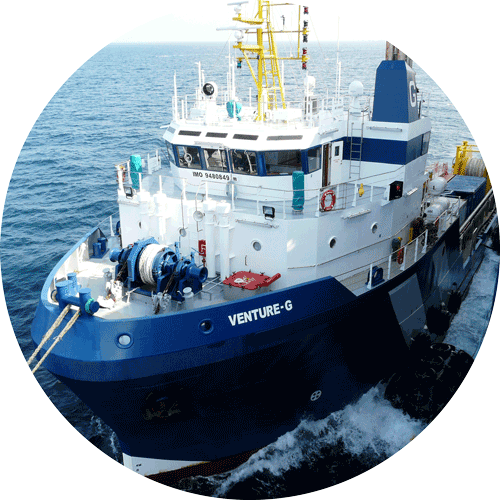 Rederij Groen is a Shipping and Service Company located at the harbor of Scheveningen and we are specialized in guard and seismic support vessel operations. 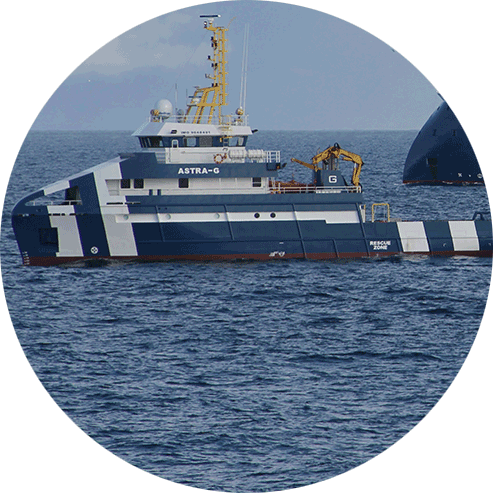 The Company started in 1973 with three vessels for the sport fishing and recreation business in the North Sea. 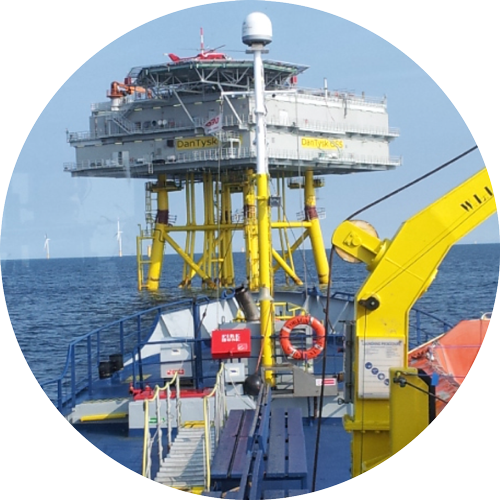 In 1980 the Company made a move to the offshore industry (At first under the umbrella of Telco Marine) and through the years Rederij Groen became experienced in the support of seismic survey operations. 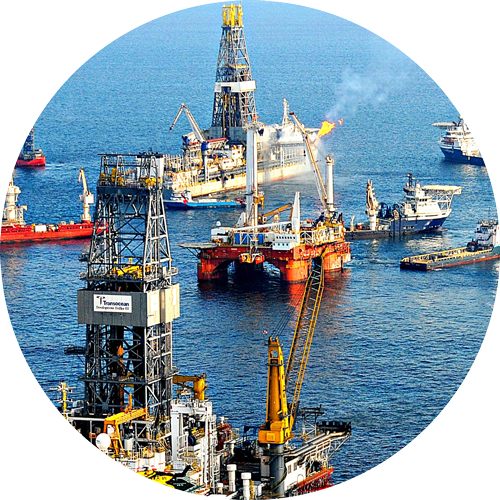 At first mainly in the North Sea and later as the service demands increased gradually to worldwide operations support for our Clients. In 2001 the Company introduced their own SMS (Safety Management System) and this was approved by our class Society. 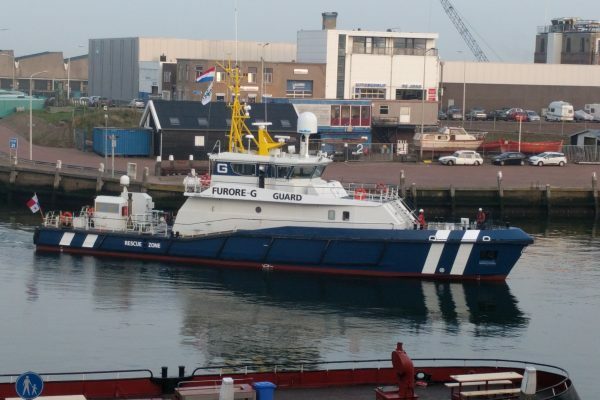 The Company started to expand with more vessels in the Company and at the beginning of 2008 the fleet consisted of fourteen modern guard, chase and support vessels. 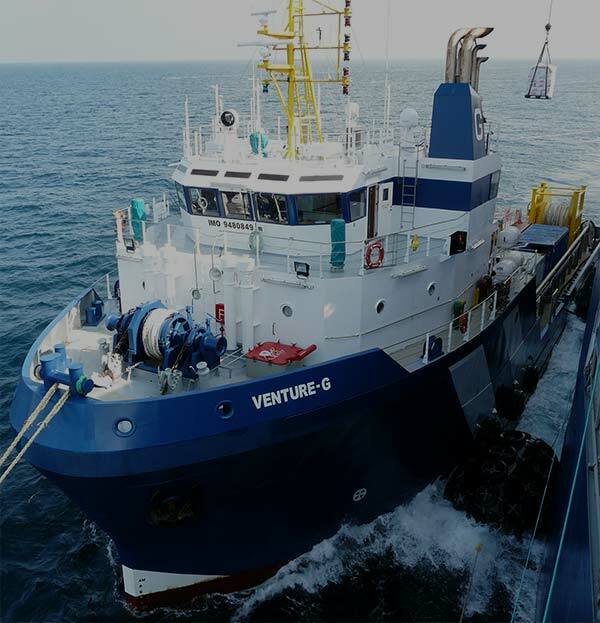 In the same year the Company ordered a new build program at the Sealink Shipyard located in Miri, Borneo and between 2008-2009 4 new support vessels joined the Company: Mare Verde, Venture-G, Maria-G and Mariska-G. 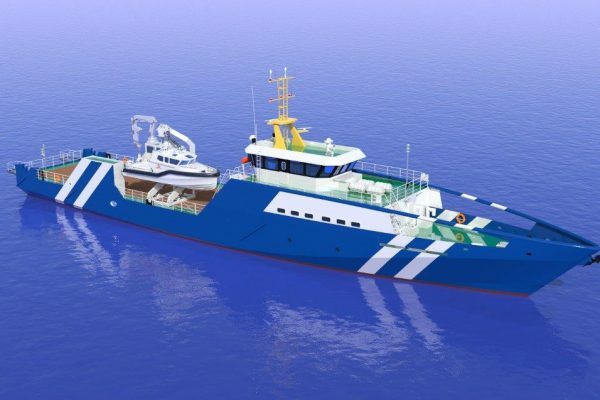 In 2008 the Company also obtained the new build multi offshore support vessel Marianne-G and the chase support vessels Romulus and Remus. Besides the new build activities on behalf of our Clients in the Seismic industry the Company became more involved in guard and standby work in the North Sea and two more vessels were purchased: the Supporter-G and Allure-G. Not only the new build program was initiated but also a major expansion of sub contractor vessels under our SMS umbrella started to grow from ten vessels in 2007 to more than forty units in 2011.Because of economical and logistical reasons the Company decided to abandon their recreation activities and to focus more on our main business service in the offshore industry. In 2013 the Company launched 2 purpose built chase vessels (Aquarius-G and Astra-G), which were the first of its kind worldwide and in 2014 the seismic support vessel Sunrise-G became the 25th vessel of the RG Fleet. In order for the office to deal with the expansion the staff increased to fourteen key Managers and office employees. 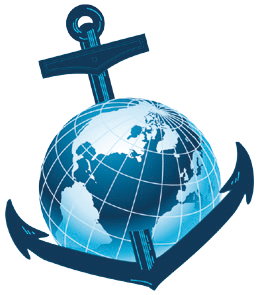 All departments have backups to guaranty constant support and demands towards and from our vessels. 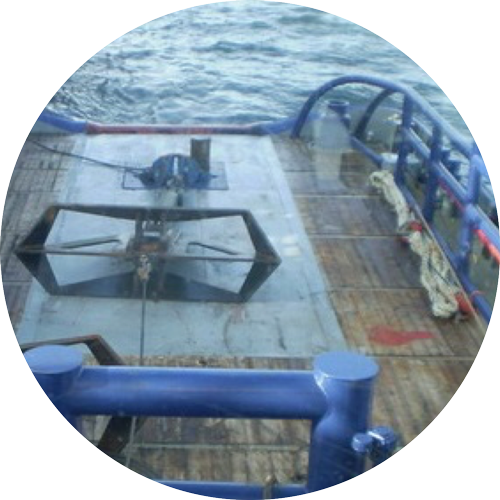 Because of the large amount of vessels available for service it is possible to deploy vessels all over the world and this means low mobilization and demobilization costs for our Clients. Rederij Groen claims to work on a high level of quality, safety and trustworthy performances and is demanding the same standard from our sub- contractors. You may have heard about the new General Data Protection Regulation (“GDPR”), that comes into effect May 25, 2018. Rederij Groen is working to update their standard operating procedures, to meet the requirements. Data protection and privacy is very important for our company and our clients.